In need of a cheap Bluetooth headset, but are trying to avoid looking like that guy? 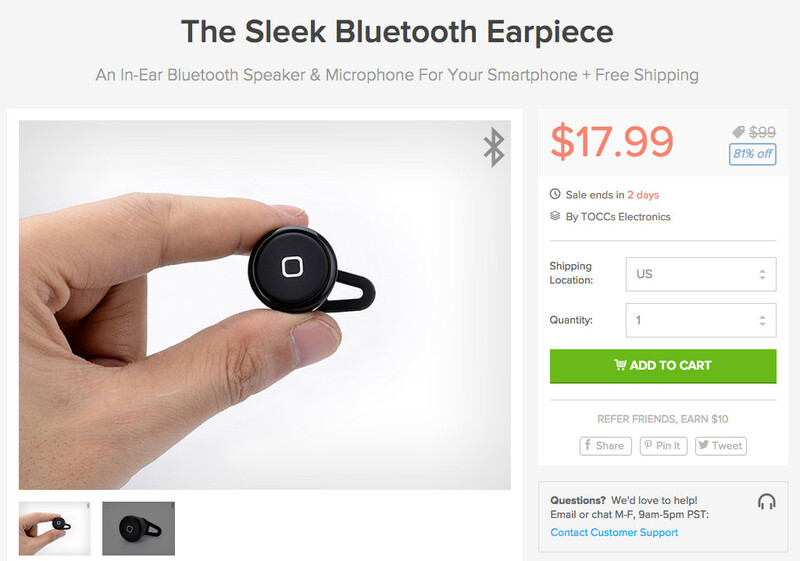 Think about the Invisible Bluetooth headset that is on sale in the DL Deals shop for just $17.99. The Invisible Bluetooth headset was designed to be, well, almost invisible. Sort of like the Motorola Hint, the Invisible wants to sit in your ear ready to take calls, but remain out of sight. It’s super lightweight, has 30-foot range, 5 hours of talk time, and touch-based controls. It may not carry the full feature set of the Hint, but again, if you just need something to make and take calls with that stays out of view, consider it.